Hopefully, you’ve managed to get a good grasp of how grammar works in Japanese and how to use them to communicate your thoughts in the Japanese way. In this final section, we’ll be covering some left-over grammar that I couldn’t fit into a larger category. This is a grammar I learned out of a book and was surprised to actually hear it used in real life on a number of occasions. You use this grammar when you think one thing, but much to your astonishment, things actually turn out to be very different. You use it in the same way as you would express any thoughts, by using the quotation 「と」 and 「思う」. The only difference is that you use 「思いきや」 instead of 「思う」. There is no tense in 「思いきや」, or rather, since the results already went against your expectations, the original thought is implicitly understood to be past tense. Attach 「思いきや」 to the thought using the quotation 「と」. Despite having thought that it must be crowded since it was afternoon, (surprisingly) not a single person was there. Thought this restaurant would be cheap but (surprisingly) the bill was over 5,000 yen! This rather formal and seldom-used grammar is used to indicate that two actions were done at the same time. The nuance is a bit difference from 「ながら」 in that some or all of the time spent on doing one action was also used to do another action as an aside. Remember, 「ながら」 is used to describe two exactly concurrent actions. The interesting thing about this grammar is that no verb is required. You can just attach it a noun, and the verb “to do” is inferred. For instance, “while taking a stroll” can simply be expressed as 「散歩がてら」. In the case where you want to employ a different verb, you also have the option of attaching 「がてら」 to the stem similar to the 「ながら」 usage. In addition, the verb or noun that is accompanied by 「がてら」 is the main action while the following action is the one done on the side. While taking a stroll, I also used that time to buy cigarettes. 「あげくの果て」 is another stronger version of this grammar. (After a great deal of) explaining the circumstances for 2 hours, (in the end), couldn’t receive understanding. (After much) consulting with teacher, (in the end), decided on not dropping out of school. This is a short lesson to cover several specialized expressions that describe the state of being covered by something. Mostly, we will focus on the differences between 「だらけ」、「まみれ」 and 「ずくめ」. 「だらけ」 is usually used when something is riddled everywhere. It generally carries a negative connotation. As a result, you’ll often see 「だらけ」 used with expressions like 「間違いだらけ」, 「ゴミだらけ」, or 「埃だらけ」. There is no conjugation rule to cover here, all you need to do is attach 「だらけ」 to the noun that is just all over the place. You should treat the result just like you would a regular noun. This document is just riddled with mistakes and is not useful at all. After using cell phone for 2 years, it became covered with scratches. ※Notice how the 「の」 particle is used to modify since 「だらけ」 functions like a noun. Can you properly dust this TV completely covered in dust? 「まみれ」 may seem very similar to 「だらけ」 but there are some very important subtle differences. First, it’s only used for actually physical objects so you can’t say things like 「間違いまみれ」 like you can with 「だらけ」. Plus, you can only use it for things that literally cover the object. In other words, you can’t use it to mean “littered” or “riddled” like we have done with 「だらけ」 So you can use it for things like liquids and dust, but you can’t use it for things like scratches and garbage. The grammatical rules are the same as 「だらけ」. Like 「だらけ」, you attach 「まみれ」 to the noun that is doing covering. You can only use 「まみれ」 for physical objects that literally covers the object. While becoming covered in oil, he worked hard at fixing the car. It’s pitiful that one gets covered in sweat from running just 1 kilometer. The 「大辞林」 dictionary describes exactly what 「ずくめ」 means very well. In other words, 「ずくめ」 describes something that applies to the whole thing. For instance, if we were talking about the human body, the expression “is [X] from head to toe” might be close to what 「ずくめ」 means. In actuality, 「ずくめ」 is an expression that is rarely used and usually with a color to describe people completely dressed in that color. For example, you can see what 「黒ずくめ」 looks like via Google Images. Grammatically, 「ずくめ」 works in exactly the same ways as 「だらけ」 and 「まみれ」. Attach 「ずくめ」 to the noun that applies to the whole thing. The organization dressed all in white was on the news last year. This shake is tasty and filled with nutrients, it’s good for (your) body so it’s entirely good things. We learned in a previous lesson that the volitional form is used when one is set out to do something. In this section, we’re going to cover some other ways in which the volitional form is used, most notably, the negative volitional form. The negative volitional is used to express negative intention. This means that there is a will for something to not happen or that someone is set out to not do something. As a result, because one is trying not to do something, it’s probably not going to happen. Essentially, it is a very stiff and formal version of 「でしょう」 and 「だろう」. While this form is practically never used in daily conversations, you might still hear it in movies, etc. Verbs are conjugated to the negative volitional by simply attaching 「まい」 to the verb. Another alternative is to attach 「まい」 to the stem. The conjugation for the negative volitional is quite different from those we are used to because it is always the last conjugation to apply even for the masu-form. There is no way to conjugate 「まい」 to the masu-form, you simply attach 「まい」 to the masu-form conjugation. For ru-verbs: Attach「まい」 to the verb or verb stem. This conjugation must always come last. For masu-form, attach 「まい」 to the masu-form verb. Your opponent is a master of the sword. I doubt you can win so easily. We already learned that you could use the volitional form to say “let’s” and to express an attempt do something. But that doesn’t mean you can use the negative volitional to say “let’s not” or “try not to”. The tone of this grammar is one of very strong determination to not do something, as you can see in the following examples. Until that time, I had decided in my heart to not meet him by any means. That person had sworn to never lie again. In order to express “let’s not”, you can use the verb, 「やめる」 with the regular volitional. In order to express an effort to not do something, you can use 「ようにする」 with the negative verb. Trying not to eat meat. We will now learn a grammar that’s actually practical for everyday use using the negative volitional grammar. Basically, we can use both volitional and negative volitional forms to say it doesn’t matter whether something is going to happen or not. This is done by attaching 「が」 to both the volitional and the negative volitional form of the verb that doesn’t matter. Attach 「が」 to the volitional and negative volitional form of the verb. Whether that guy is going to college or not, it has nothing to do with me. Whether there is time or not, there’s nothing to do but make it on time. The viruses lately have been strong and whether you run a program or not, I hear it will spread just by looking at the page. We already found out that the negative volitional can be used as kind of a formal version of 「でしょう」 and 「だろう」. You may wonder, how would you do the same thing for the volitional? The answer is to conjugate the verb 「ある」 from the formal state-of-being 「である」 to the volitional to produce 「であろう」. Remember 「でしょう」 can already be used as a polite form, so this form is even a step above that in formality. We’ll see what kind of language uses this form in the examples. Attach 「であろう」 to the noun, adjective, or verb. I would like to directly approach problems that humans have likely encounter the next 50 years and while devising solutions, take that knowledge and think about scenarios that will become the next industry. Of course, setting up new courses of study will likely be difficult with this period of decreasing student population but with reorganizations of occupational studies and courses within subjects, there is supposed to be demand for reform fit for this period. We learned in the lesson about formal grammar that 「ではない」 was the negative of 「である」. So how would we say something like 「であろう」 but for the negative? The answer is to use yet another type of volitional for negatives and i-adjectives used only in formal and literary contexts. You can think of this grammar as a very old-fashioned version for i-adjectives and negative 「い」 endings. The conjugation rule is simple: remove the last 「い」 and attach 「かろう」. You can use it for negatives and i-adjectives just like the 「かった」 past conjugation form. It’s not necessarily the case that sales go up just by selling any type of product on the net. Whether you start exercising early or late, the fact that it’s good for your health doesn’t change. Whether it’s a holiday or not, it looks like it doesn’t matter for this job. In this lesson, we will go over various types of grammar that deal with tendencies. Like much of the Advanced Section, all the grammar in this lesson are used mostly in written works and are generally not used in conversational Japanese. This is arguably the most useful grammar in this lesson in terms of practically. By that, I mean that it’s the only grammar here that you might actually hear in a regular conversation though again, it is far more common in a written context. With this grammar, you can say that something is likely to occur by simply attaching 「がち」 to the stem of the verb. While, 「がち」 is a suffix, it works in much same way as a noun or na-adjective. In other words, the result becomes a description of something as being likely. This means that we can do things like modifying nouns by attaching 「な」 and other things we’re used to doing with na-adjectives. You can also say that something is prone to be something by attaching 「がち」 to the noun. As the word “prone” suggest, 「がち」 is usually used for tendencies that are bad or undesirable. For verbs: Attach 「がち」 to the stem of the verb. Filing income taxes is one of those processes that one is prone to forget. For families that tend to be away from home, cats are recommended over dogs. Father is prone to illness and everybody is worried. For more examples, check out the WWWJDIC examples. 「つつ」 is a verb modifier that can be attached to the stem of verbs to express an ongoing occurrence. Though the meaning stays essentially the same, there are essentially two ways to use this grammar. The first is almost identical to the 「～ながら」 grammar. You can use 「つつ」 to describe an action that is taking place while another action is ongoing. However, there are several major differences between 「つつ」 and 「～ながら」. First, the tone of 「つつ」 is very different from that of 「～ながら」 and you would rarely, if ever, use it for regular everyday occurrences. To go along with this, 「つつ」 is more appropriate for more literary or abstract actions such as those involving emotions or thoughts. Second, 「～ながら」 is used to describe an auxiliary action that takes place while the main action is going on. However, with 「つつ」, both actions have equal weight. For example, it would sound very strange to say the following. Don’t watch TV while sleeping! The second way to use this grammar is to express the existence of a continuing process by using 「ある」, the verb for existence. Everything is the same as before except that you attach 「ある」 to 「つつ」 to produce 「～つつある」. This is often used in magazine or newspaper articles to describe a certain trend or tide. To describe an ongoing action, attach 「つつ」 to the stem of the verb. Went into the bathroom while holding an aching head from a hangover. While thinking it’s bad for body, haven’t exercised at all recently. Lead by the advancement of electronic products, hard disk drive capacities are becoming ever larger. In today’s Japan, hiring practices like life-time employment and age-based ranking are tending to break down. 「きらいがある」 is a fixed expression used to describe a bad tendency or habit. I suspect that 「きらい」 here might have something to do with the word for hateful: 「嫌い」. However, unlike 「嫌い」, which is a na-adjective, the 「きらい」 in this grammar functions as a noun. This is made plain by the fact that the 「が」 particle comes right after 「きらい」, which is not allowed for adjectives. The rest of the phrase is simply expressing the fact that the negative tendency exists. The 「きらい」 in this grammar functions as a noun. 「ある」 is simply the existence verb for inanimate objects. A lot of college students have a bad tendency of not doing their homework until just barely it’s due date. Developers that like coding have a bad tendency to neglect proper documents and adequate testing. We learned how to express feasibility in the section on the potential form quite a while ways back. In this section, we’ll learn some advanced and specialized ways to express certain types of feasibility or the lack thereof. Like much of the grammar in the Advanced Section, the grammar covered here is mostly used for written works and rarely used in regular speech. This grammar is used when there’s something that just can’t be helped and must be done. It is the negative version of the grammar we previously covered for something that has to be done. It uses the negative of the verb 「得る」 or “obtain”, to roughly mean that “one cannot obtain not doing of an action”. This means that you can’t not do something even if you wanted to. As a result of the use of double negatives, this grammar carries a slight suggestion that you really don’t want to do it, but you have to because it can’t be helped. Really, the negative connotation is the only difference between this grammar and the grammar we covered in this “have to” section. That, and the fact that this grammar is fancier and more advanced. This grammar uses an archaic negative form of verbs that ends in 「～ざる」. It is really not used in modern Japanese with the exception of this grammar and some expressions such as 「意図せざる」. The rules for conjugation are the same as the negative verbs, except this grammar attaches 「ざる」 instead. To reiterate, all you have to do is conjugate the verb to the negative form and then replace the 「ない」 with 「ざる」. The two exception verbs are 「する」 which becomes 「せざる」 and 「くる」 which becomes 「こざる」. Finally, all that’s left to be done is to attach 「を得ない」 to the verb. It is also not uncommon to use Hiragana instead of the Kanji. To say that you can’t not do something replace the 「ない」 part of the negative verb with 「ざる」, then attach 「を得ない」 to the end of the verb. If this TV breaks even more, there’s no choice but to buy a new one. I tolerated it all this time but in this situation, I can’t not go to the dentist. Hearing the story from the boss, it seems like I can’t not go on a business trip overseas no matter what. Since this is a set expression, there are really no grammar points to discuss. You only need to take the phrase and use it as you would any regular relative clause. If the paperwork should be late due to uncontrollable circumstance, please make sure to contact us. This job may be bad but because (I) can’t find a new job due to the recent economic downturn, it’s a situation where nothing can be done. One important thing that the jeKai doesn’t mention is how you would go about using this grammar. It’s not difficult and you may have already guessed from the example sentences that all you need to do is just attach 「かねる」 or 「かねない」 to the stem of the verb. To say that something cannot be done using 「かねる」, change the verb to the stem and attach 「かねる」. 「かねる」 is a ru-verb so use the negative 「かねない」 to say that something (bad) might happen. Since making a decision here is impossible, let’s set up a separate meeting again. At this rate, there is a possibility that personal information might leak so I request that this be dealt with promptly. うち – referring to one’s in-group, i.e. company, etc. The 「～がる」 grammar is used when you want to make an observation about how someone is feeling. This is simply an observation based on some type of sign(s). Therefore, you would not use it for your own emotions since guessing about your own emotions is not necessary. This grammar can only be used with adjectives so you can use this grammar to say, “He is acting scared,” but you cannot say “He acted surprised,” because “to be surprised” is a verb in Japanese and not an adjective. This grammar is also commonly used with a certain set of adjectives related to emotions such as: 「嫌」、「怖い」、「嬉しい」、or 「恥ずかしい」. My girlfriend is the type to show dislike towards getting woken up early in the morning. Our child acts afraid about entering a pool without any reason. (He) soon acts like wanting to use computer as soon as (he) gets home. Everybody is acting like they want to go to Italy but it’s suspicious whether I can go or not going by my budget. My wife was showing signs of wanting a Louis Vuitton bag but there’s no way I can buy something like that! 「～がる」 is also used with 「屋」 to indicate a type of person that often feels a certain way such as 「恥ずかしがり屋」 (one who easily feels or acts embarrassed)、 「寒がり屋」 (one who easily feels cold)、or 「暑がり屋」 (one who easily feels hot). I’m the type who easily gets cold and so living in Minnesota was painful. We just learned how to observe the emotions and feelings of other by using 「～がる」 with adjectives. But what about verbs? Indeed, there is a separate grammar used to express the fact that someone else looks like they are about to do something but actually does not. Similar to the 「～がる」 grammar, this is usually not used in normal everyday conversations. I have seen it several times in books and novels but have yet to hear this grammar in a conversation. For the regular non-past, non-negative verb, you must first conjugate the verb to the negative ending with 「ん」, which was covered here. Then, you just attach 「ばかり」 to the end of the verb. For all other conjugations, nothing else is necessary except to just add 「ばかり」 to the verb. The most common verb used with this grammar is 「言う」 . It is also usually used with the 「に」 target particle attached to the end of 「ばかり」. This grammar is completely different from the 「ばかり」 used to express amounts and the 「ばかり」 used to express the proximity of an action. The ball was expanding as if it was going to explode. Has a calm face as if [he] didn’t say anything during the fight yesterday. By now, you’re probably thinking, “Ok, we’ve done adjectives and verbs. What about nouns?” As a matter of fact, there is a similar grammar that is used usually for nouns and na-adjectives. It is used to indicate that something is showing the signs of a certain state. Unlike the 「～がる」 grammar, there is no action that indicates anything; merely the atmosphere gives off the impression of the state. Just like the previous grammar we learned in this section, this grammar has a list of commonly used nouns such as 「謎」、「秘密」、or 「皮肉」. This grammar is used by simply attaching 「めく」 to the noun or na-adjective. The result then becomes a regular u-verb. Attach 「めく」 to the noun or na-adjective. The result then becomes a regular u-verb. *The negatives conjugations are theoretically possible but are not likely used. The most common usage is the past tense. With the leaves starting to change color, the air came to become quite autumn like. Even having that kind of puzzled look done to me, I can’t explain it very well, you know. You’ll make everyone dislike you if you keep speaking with that ironic tone, you know. For a whole slew of additional real world examples, check out the jeKai entry. It states that the grammar can be used for adverbs and other parts of speech but none of the numerous examples show this and even assuming it’s possible, it’s probably not practiced in reality. In this lesson, we’ll learn how to express the way things are supposed depending on what we mean by “supposed”. While the first two grammar points 「はず」 and 「べき」 come up often and are quite useful, you’ll rarely ever encounter 「べく」 or 「べからず」. You can safely skip those lessons unless you are studying for the JLPT. The first grammar we will learn is 「はず」, which is used to express something that was or is supposed to be. You can treat 「はず」 just like a regular noun as it is usually attached to the adjective or verb that is supposed to be or supposed to happen. The only thing to be careful about here is expressing an expectation of something not happening. To do this, you must use the negative existence verb 「ない」 to say that such an expectation does not exist. This might be in the form of 「～はずがない」 or 「～はずはない」 depending on which particle you want to use. The negative conjugation 「はずじゃない」 is really only used when you want to confirm in a positive sense such as 「～はずじゃないか？」. He has a mania for comic book(s) so I expect he read all these already. This dish was expected to be tasty but it burned and became distasteful. Because various things have been planned out, I expect a fun Christmas this year. It’s not supposed to be that easy to fix. This meeting is supposed to start every week at 2 o’clock, isn’t it? Here are more examples from the WWWJDIC. You may also want to check out the jeKai entry. There is very little of grammatical interest. 「べき」 works just like a regular noun and so you can conjugate it as 「べきじゃない」、「べきだった」, and so on. The only thing to note here is that when you’re using it with 「する」, the verb meaning “to do”, you can optionally drop the 「る」 from 「するべき」 to produce 「すべき」. You can do this with this verb only and it does not apply for any other verbs even if the verb is written as 「する」 such as 「擦る」, the verb meaning “to rub”. Before buying something, one should think well on whether it’s really necessary or not. Even if it is, for example, for the country, I don’t think the country’s citizens should be deceived. With cases coming out of depositors suing large banks, the Financial Services Agency decided it should prioritize relief for victims and urge banks to strengthen measures for crime prevention. 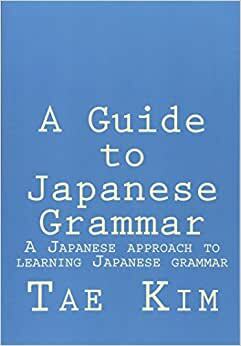 Grammatically, 「べく」 is really a conjunctive form （連用形） of 「べき」, similar to what the te-form does to connect another phrase. However, what needs mentioning here is that by changing it into a conjunctive and adding a predicate, the meaning of 「べく」 changes from the ordinary meaning of 「べき」. While 「べき」 describes a strong suggestion, changing it to 「べく」 allows you to describe what one did in order to carry out that suggestion. Take a look that the following examples to see how the meaning changes. As we can see in this example, adding the 「準備をし始めた」 tells us what the subject did in order to carry out the action he/she was supposed to do.In this way we can define 「べく」 as meaning, “in order to” or “in an effort to”. Similarly, 「べく」 might mean the Japanese equivalent of 「しようと思って」 or 「できるように」. This is a very seldom-used old-fashioned expression and is merely presented here to completely cover all aspects of 「べき」. You must not throw away trash. You must not forget the safety measures. We have already learned how to speak with your friends in casual speech, your superiors in polite speech, and your customers in honorific / humble speech. We’ve learned 「だ」、「です」、and 「でございます」 to express a state-of-being for these different levels of politeness. There is one more type of state-of-being that is primarily used to state facts in a neutral, official sounding manner – 「である」. Just like the others, you tack 「である」 on to the adjective or noun that represents the state. Since I’m too lazy to look up facts, let’s trot on over to the Japanese version of Wikipedia and look at some random articles by clicking on 「おまかせ表示」. An amalgam is a mixture of two or more pure materials. To give you an idea of how changing the 「である」 changes the tone, I’ve included some fake content around that sentence. Because the negative of 「ある」 is 「ない」, you might expect the opposite of 「である」 to be 「でない」. However, for some reason I’m not aware of, you need to insert the topic particle before 「ない」 to get 「ではない」. Wouldn’t you consider that to be unfair? Language is not something that can be mastered easily. Attach 「である」 to the verb or adjective that the state-of-being applies to. For the negative, attach 「ではない」 to the verb or adjective that the state-of-being applies to. In the Compound Sentence lesson, we learned how to use the te-form of verbs to express multiples sequential actions in one sentence. This practice, however, is used only in regular everyday speech. Formal speeches, narration, and written publications employ the verb stem instead of the te-form to describe sequential actions. Particularly, newspaper articles, in the interest of brevity, always prefer verb stems to the te-form. Fireworks are for the enjoyment of sparks created from combustion created by lighting up a mixture of gunpowder and metal powder. Was able to investigate his whereabouts using the company’s internal customer data. Several photos were inside the envelope, and a letter was attached. A password has been set on this file, and it needs to entered when opening.